For the San Mig Super Coffee Mixers, this game is about keeping the hot streak going to climb up the standings and stay away from Petron and Rain or Shine in the quarterfinals. As the San Mig Super Coffee Mixers stand at 6 wins and 7 losses, two things can happen to them depending on the result of this game. 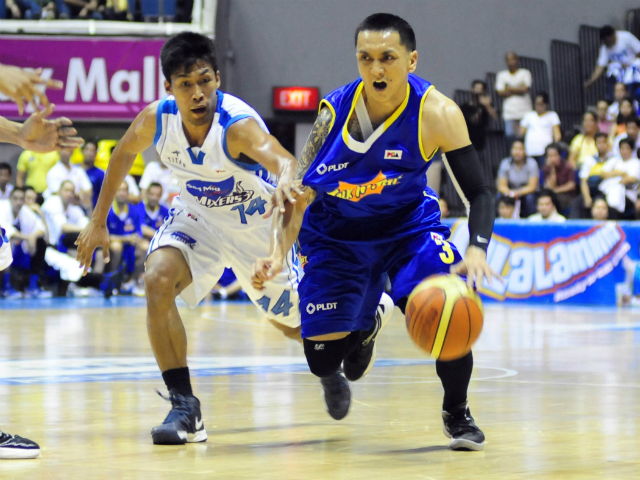 If they beat the Tropang Texters, they will either get the fourth or fifth seed — hardly matters which seed they get — and play TNT in a best-of-3 quarterfinals series. If San Mig Coffee loses to Talk ‘N Text, it would be still possible for them to slide down to the 6th spot and play either Rain or Shine (the hottest team in the league) or Petron (should have a healthier Fajardo in the playoffs). For the Talk ‘N Text Tropang Texters, this game is about getting out of the funk that they’ve been on and forging the possibility of playing a weaker, less hotter team than the Mixers in the quarters. Norman Black’s squad goes into this game having lost three of their last four. And you don’t want to be stuck in a rut as you enter a best-of-3 series. The main thing for TNT then it to stay the course and be on track to defend the crown. They started strong this conference, reaffirming that they’re a constant strong figure on all-Filipino settings. But recently their age has shown and they have struggled against teams with dominant centers. A win for them against the Super Coffee Mixers will give them a little bit of advantage against the same team if they meet in the playoffs or will give them an easier opponent — possibly Barako Bull. Which team will play better D? 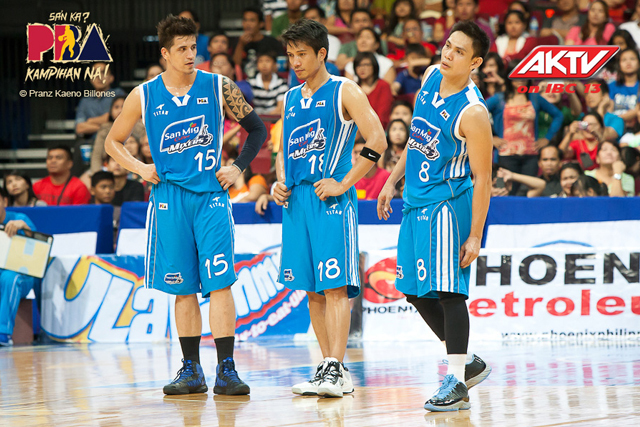 San Mig Super Coffee’s defense has been absolutely fantastic over their latest winning streak. They’re allowing only 77.3 ppg over that stretch — a stretch that saw them shackle the two best offensive teams in the league (BGSM and Petron). TNT’s defense on the other hand has offset its productive offense by allowing 103.5 ppg over its last four games — not championship numbers by any measure and by PBA standards. For TNT to break out of its funk, they simply have to play better defense and play at a fast pace that’s uncomfortable for turtle-pace-playing San Mig Super Coffee. 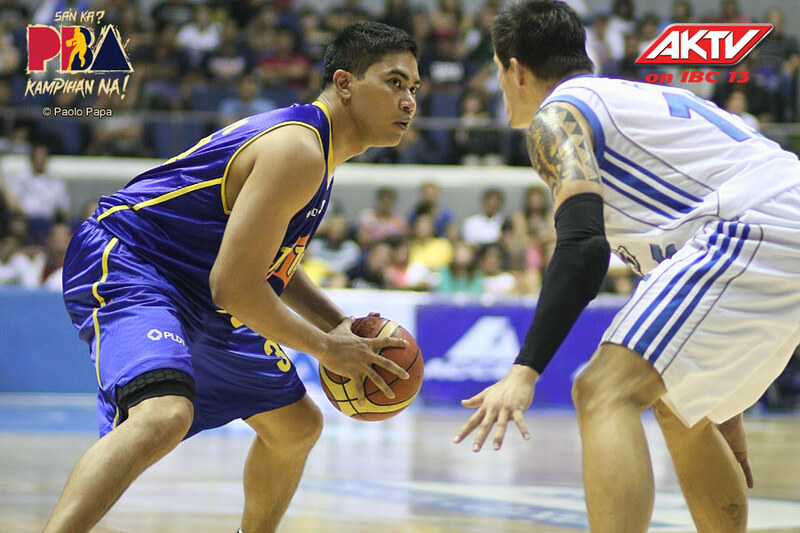 Simon led the Mixers with 20 points to rout the Blaze Boosters in their last game. Although Simon has dropped so many times in his career already, something is quite new for him. Coach Tim Cone has finally put him at the post — the focal point of the Triangle Offense — and shifted James Yap to the wing. Let’s see if Simon continues to flourish with his new role on offense.